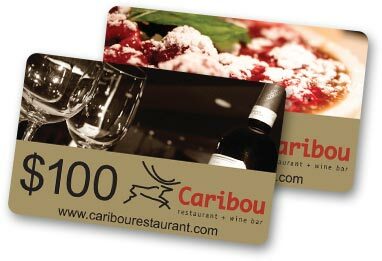 Caribou Gift Cards are perfect for any occasion including anniversaries, birthdays, thank you gifts, bonuses, get well gifts or any other special occasion. 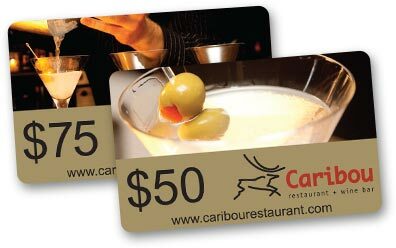 They are available in $50, $75 and $100 denominations or custom amounts and are available from the restaurant. To make the process smoother you can submit the form below and we can prepare the cards ahead of time. Alternatively, you may download and print the .pdf form below. You can fill it out and fax it back to us at 807. 628.8614.